Today, at around 15:00 pm a robbery occurred in Rinas. 3 masked and armed persons dressed as soldiers entered the runway and could rob approximately 10m euros. The looted money were of a second-tier bank and their destination was Vienna. Meanwhile, one of the alleged robbers was found dead near the scene in the shootout with Police. Renea and FNSH are on the ground as they are working to capture the perpetrators. The two other robbers threw the victims body not far from the Airport. The victim was found near the river at Brari Bridge, dressed in black clothes, with cuffs and bulletproof. Police have already screened the dead body but have not found any identification tool. Immediately the law enforcement officers have called for help the Aleat company to find the victim's fingerprints. It is rumored that a device of this company, which has been dealing with making passports in our country, has already brought to the scene where the victim's fingerprints are expected to be taken, which will also result in his identity. While the journalist Klodiana Lala has given smore details of the biggest robbery in the history of the Albania, as she says. "The robbery has occurred within the Rinas Airport. At the time some transport insurance companies have handed over the money, the robbers entered the aircraft full of passengers and took the money. The money are taken from the plane's womb. There were 160 passengers on board who would go to Vienna. The robbers used a van where it was written 'Tax Inquiry'. The masked robbers with Kalashnikovs in their hands have taken the money. The robbers have taken the moneyafter pointing the weapons to security workers, and the latter have lied on the ground. The van was without license plates. The police then entered the plane. The police asked passengers if they had a movie screen. During the exits, the robbers exchanged fire with the police. In this moment one of the robbers was dead. The lifeless body of one of the robbers was found at Brari Bridge, while a second vehicle was found burning near Kamza. The Special Forces are on alert, even the helicopters. 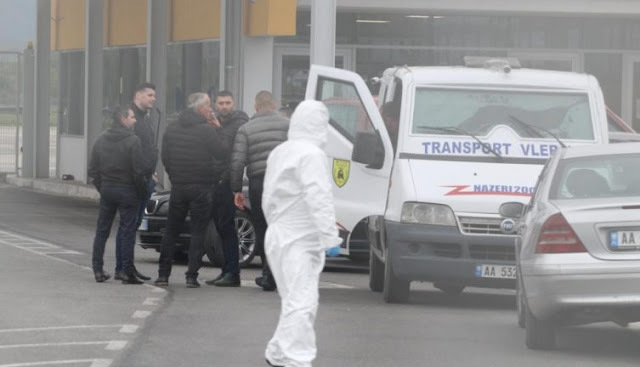 The fingerprints of the person found dead have been taken to verify whether there are any criminal precedents and are getting information about his social and family ties. There are suspicions that the authors have collaborated with the guards in Rinas. Only in this way can be discovered the lotters of the biggest robbery ever occurring in the country" Lala said.